Take a look at the behind-the-scenes in this three-part short video. 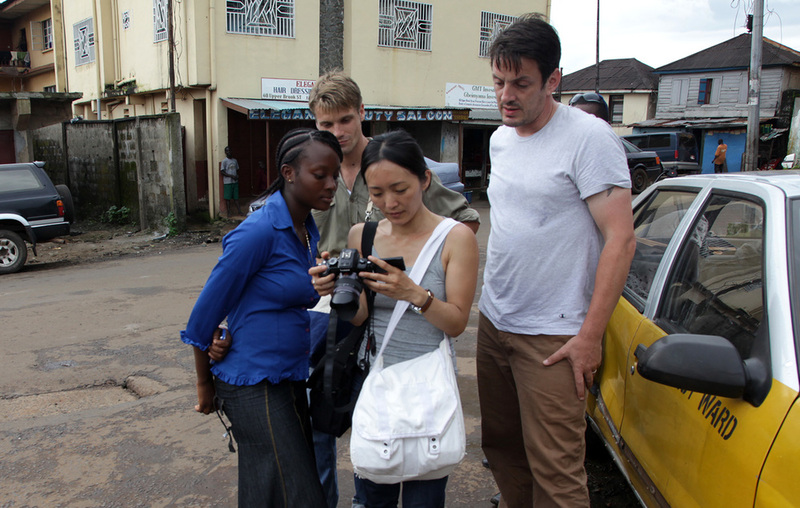 In part 1, there's some fun location video and photos with Richard, Gina, and Jenny in Freetown. In part 2, you'll see our dedicated team in L.A. animating and hand-tracing over 4,000 frames to create the hybrid live-action and animated look. Lastly, in part 3, we've included some shot breakdowns for several before-and-after comparisons. Enjoy! This is part one of a production diary that I kept while shooting in Sierra Leone with the awesome director of "Girl Rising," Richard E. Robbins and our very talented producer, Gina Nemirofsky.